April 21, 2018 at 10AM at 2400 Jefferson Rd. in Paris. 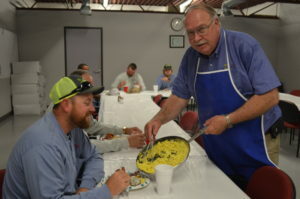 On National Lineman Appreciation Day we celebrated by serving our linemen a warrior breakfast to show our gratitude. Braving stormy weather and other challenging conditions, lineworkers often must climb 40 or more feet in the air, carrying heavy equipment to restore power. Linemen must hold 14,000 volt energized wire in their gloved hands in freezing or scorching weather while providing excellent customer service. Listed as one of the 10 most dangerous jobs in the U.S., lineworkers must perform detailed tasks next to high voltage power lines. 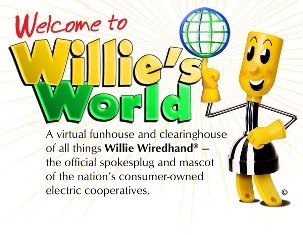 To help keep them safe, lineworkers wear specialized protective clothing and equipment at all times when on the job. This includes special fire-resistant clothing that will self-extinguish, limiting potential injuries from burns and sparks. Rubber sleeves and rubber gloves are worn in tandem to protect them from electrical shock. While the gear performs a critical function, it also adds additional weight and bulk, making the job more complex. 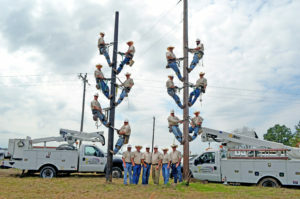 Electric linemen do not often receive the recognition they deserve. Electric line workers across our service territory work every day near deadly energized wires, building and repairing lines to ensure the overall reliability of the system. Like most professions, some of our men go by other job titles such as Right-Of-Way Workers, Equipment Operators, Staking Engineers or even Substation Technician. In our service area, Lamar Electric lineworkers are responsible for keeping over 2,300 miles of lines across 3 counties working, in order to bring power to your home and our local community 24/7, regardless of the weather, holidays or personal considerations. If you see a lineworker today please pause to say thank you to the power behind your power. Let them know you appreciate the hard work they do to keep the lights on, regardless of the conditions. 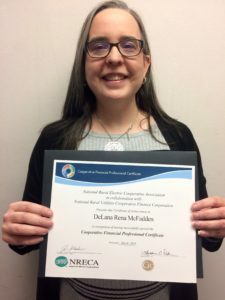 Our Manager of Finance and Accounting, Delana McFadden, has just received her Cooperative Financial Professional Certificate from the NRECA in cooperation with the Cooperative Finance Corporation. This is not an easy task, as many hours of classes must be taken in addition to a capstone project in order to receive this certificate. We are so proud! Way to go, Delana! 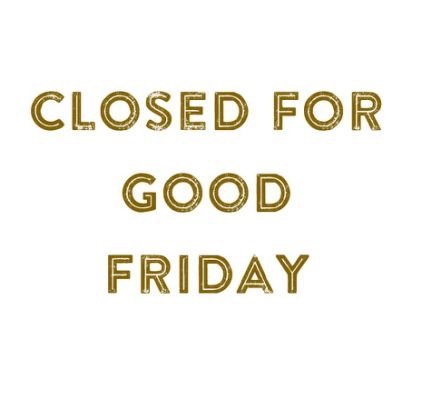 We will be closed Friday, March 30, for Good Friday. You may still pay your bill online by clicking “online bill pay”. 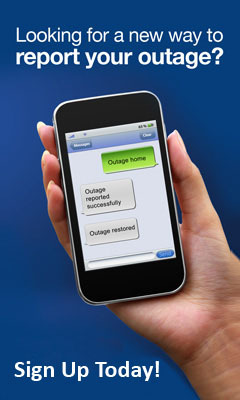 As always our crews will be on call should an outage occur. We will open at normal hours on Monday, April 2. Lamar Electric Cooperative is attempting to locate former members who have not cashed checks issued before March 2017. The checks are for deposits, final bill refunds or membership fees. “Many of these checks go unclaimed because members fail to provide us with a forwarding address. These checks are returned to us by the postal service,” said Director of Communications, Katie Morris. 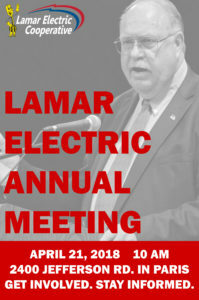 Lamar Electric is only allowed to hold funds for a certain amount of time, and is required by law to send unclaimed money to the state of Texas. If the refund check is not claimed at Lamar Electric in the next couple of months, a person will need to file a claim with the state of Texas in order to receive their refund. A full list of names is available below. 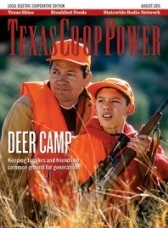 This list is also available at our office or on our website www.lamarelectric.coop. Should your name appear on the list or if you are the legal heir to the estate of an account, whose name is on the list, please contact Lamar Electric at 903-784-4303 to claim your refund.